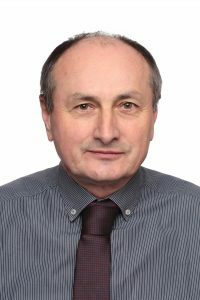 Head of the study: Darko Virovac, M.Sc., sen. lect., B.Eng. Aircraft Maintenance is a study programme that encompasses the education in the field of organization of maintenance and implementation of the technology of aircraft maintenance and aircraft systems and equipment for civil and military aviation. The students acquire knowledge about the design and characteristics of aircraft, electrical engineering and mechanical engineering systems and aircraft equipment, organization and technology of maintaining aircraft, aircraft systems and equipment, implementation of safety measures at work and quality assurance and control of aircraft maintenance in compliance with current standards. By completing the professional study programme Aircraft Maintenance the students acquire knowledge and skills necessary to perform the activities in the field of aircraft maintenance. The baccalaurea of this study programme can independently solve professional issues of planning, organization, technical protection and control of technological processes in all the phases of aircraft maintenance system and aircraft equipment in compliance with the standards of airworthiness control. Students who graduate from the study programme of Aircraft Maintenance shall be competent in performing aircraft maintenance operations within civil, military and police organizations. Aircraft systems and equipment I. Aircraft systems and equipment II.